Closed last week and it's now boarded up ready for demolition and the building of yet more houses. nice pub, well run, really nice locals and well worth a shout - played here tonight with my duo and a ruddy pleasure. This is a reasonable enough pub for locals. The beer is decent as is the food. It can get a bit noisy at the weekend but that's generally fine. Can't say anything exciting about this place but it's OK. 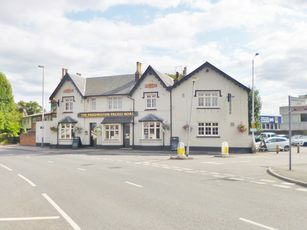 It is the best pub within walking distance of West Drayton Station (15 minutes down the high street). A locals pub, with exceptional London Pride (and Thai food). Well placed for cansl-side walks.